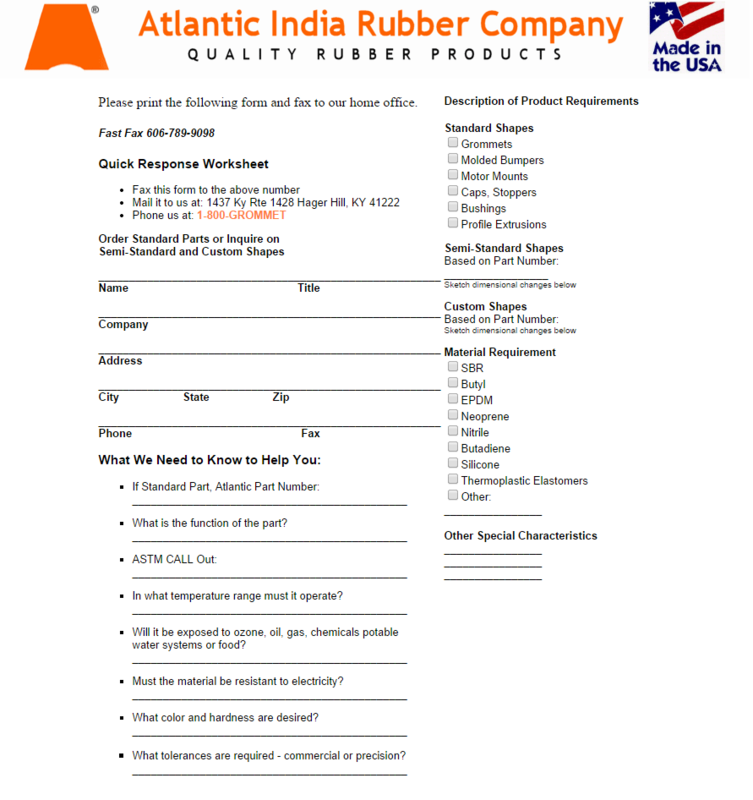 Atlantic India Rubber Company takes care of our customers, and we want to hear from you! Please use the form below, email us or call during regular business hours. During business hours a live staff member is always available to answer your calls and assist you with any questions you may have. Our normal business hours are Monday through Friday – 8 A.M. to 5 P.M. Eastern Standard Time. If you would like to send a FAX a printable form can be found here. Thank you for your interest in Atlantic India Rubber Company’s custom rubber products and standard rubber products. To find out more information about grommets, bumpers, gaskets, seals, lab stoppers, crutch tips, and military grommets please fill in the information below.